The Radisson Blu Hotel Halle Merseburg has a total of 133 comfortable guest rooms, including exclusive Palais suites and business rooms with beautiful roof terraces. We invite you to stay in the historic ambience of a 200-year-old building offering modern amenities and excellent service. One of the things that makes us special is our friendly, competent team of receptionists, event organisers and restaurant service staff, who will be glad to attend to your every need. 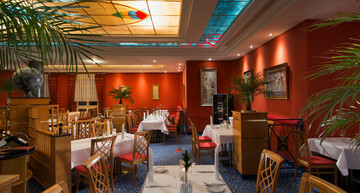 Our Belle Epoque Restaurant and Rabenbar (Raven Bar) serve first-class meals and creative cocktails. Please note the changed opening hours of the kitchen on the Christmas holidays and the freshly prepared cold and warm buffet. Thanks to its central location close to Leipzig and Halle, our hotel is an ideal base for business travellers and tourists alike. Situated just off the A9 and A38 motorways, Merseberg is within easy travelling distance of the commercial centres of Halle and Leipzig. 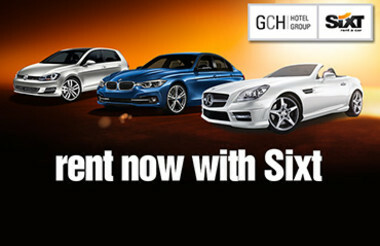 The good public transport links are convenient for guests arriving by airplane or train. From the nearby railway station, there are regular train services to Halle, Leipzig, Magdeburg and Naumburg. 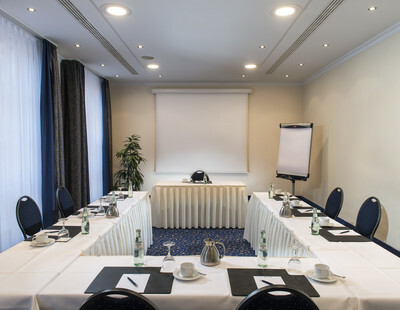 The Radisson Blu Hotel Halle Merseburg has 10 function rooms ranging in size from a small meeting room to a large ballroom. We organise all manner of events for groups of up to 1,000 persons over a total floor space of 1,390 m2. Our event team can help you plan exciting supporting programmes, incentive events or gala dinners. We also offer a catering service for private functions or business events. The historic Ständehaus (former provincial assembly building) adjacent to our hotel is the perfect location for weddings and congresses with flair. Please feel free to contact us for assistance with organising your event. Merseburg is one of the oldest towns in Central Germany. 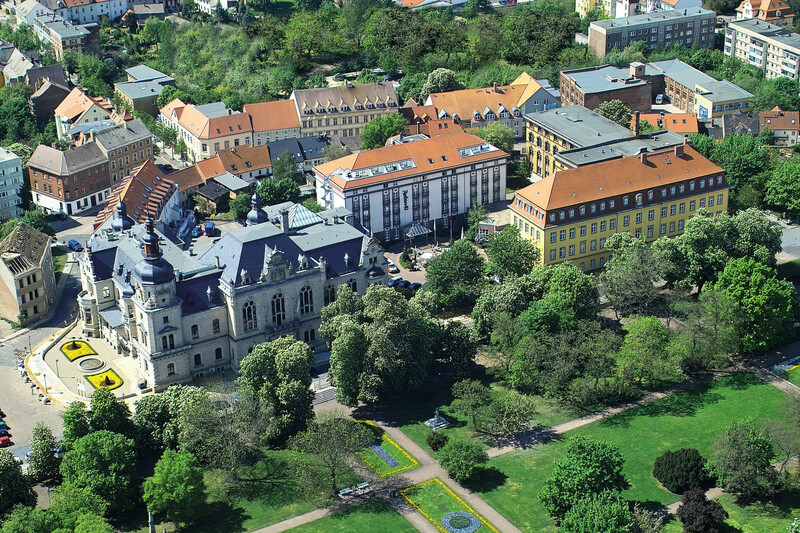 Dating back over 1,000 years, Merseburg boasts an impressive ensemble of mediaeval buildings. The cathedral, the chapter house and the impressive Merseburg Palace and its gardens are all in the immediate vicinity of the Radisson Blu Hotel Halle Merseburg. Other places to explore are the Willi-Sitte-Galerie and the historic vaulted cellar known as Tiefer Keller, which both house art exhibitions. There are also numerous cultural and historical highlights to be seen along the Romanesque Route. For sports enthusiasts, the cycle track along the River Saale is a major attraction. 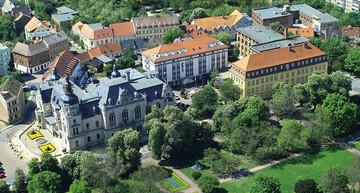 Stay in the centre of Merseburg close to the cathedral and palace gardens. 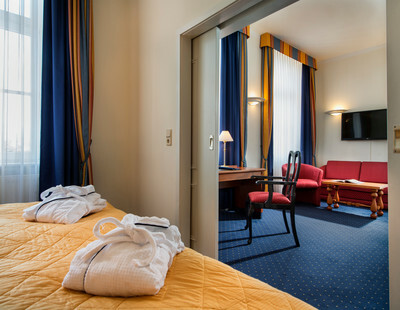 The rooms at the Radisson Blu Hotel Halle Merseburg offer wonderful views of the town. They are equipped with an elegant marble bathroom and free WiFi. Whatever your requirements – a business lunch, candle-light dinner or tasty midday meal – the Belle Epoque Restaurant serves creative national and international cuisine. Delicious cocktails and other refreshing drinks are available in the Rabenbar (Raven Bar) and on the adjoining terrace in the summer months. At the Radisson Blu Hotel Halle Merseburg, the adjacent Ständehaus (former provincial assembly building) and the Schlossgartensalon (palace garden salon), there are a total of ten multifunctional event rooms offering modern technical amenities and an abundance of natural daylight – the perfect venue for hosting your next meeting or your wedding reception in Merseburg. 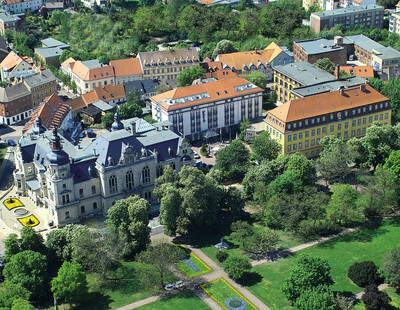 Discover the historic tourist attractions and imposing buildings in the immediate vicinity of our hotel in Merseburg, or take a trip along the Romanesque Route. There are countless leisure activities in the surrounding area. Enjoy three nights at the Radisson Blu Hotel Halle Merseburg with breakfast, two diner menus in our restaurant and entrance to Merseburg's sights. Enjoy one night in the Radisson Blu Hotel Halle Merseburg and discover the historical sights of the city. 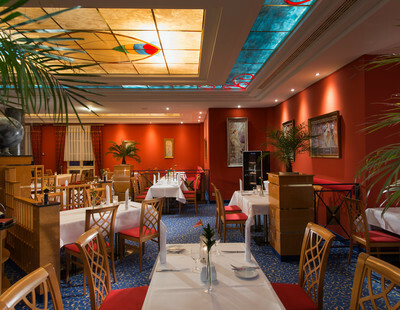 You will spend a great weekend with delicious diner at the hotel restaurant and have plenty of time to visit Merseburg's sights.